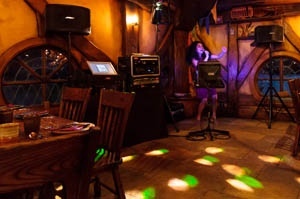 Karaoke is fun, whether your guests are great singers or couldn’t carry a tune in a bucket, everyone has fun and gets involved. Our Karaoke systems are available with everything you could need to make your event a hit. You may not make it to pop idol, but you will have a winning event. Call now to discuss your needs, we can even load the systems with specific songs if someone has a ‘party piece’.